Where can I have temporary construction signs made? Summertime typically means construction time on highways and local roads! Especially in the Metro Detroit area! 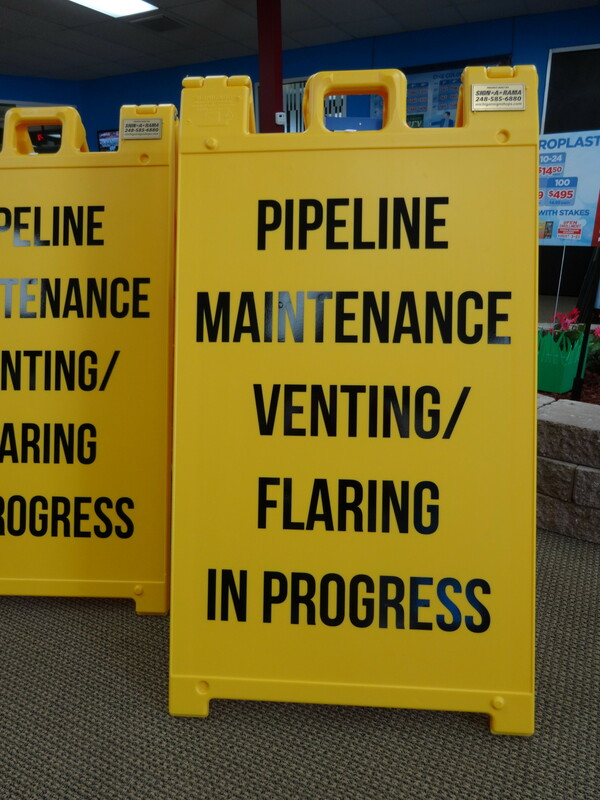 At Signarama Troy we have been producing many forms of temporary construction signs for various uses throughout area roadways. A-frame signs are a great way to prominently give drivers direction and warn them of upcoming slowdowns or detours. They can be used in many different ways on the road, sidewalks, and driveways. 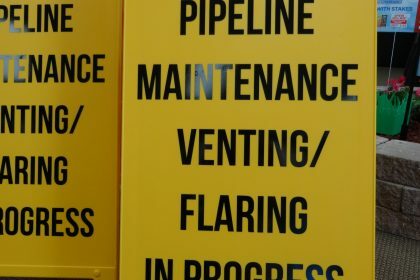 The signs to the left are an example of temporary construction signs for an oil company to warn drivers of venting and flaring off pipeline maintenance. This example shows a yellow frame with black ready to apply vinyl applied directly on the board. We can completely customize your sign to be tailored to your needs. We offer several different types of A-frame signs to express just the right message! Another option for temporary construction signs is to use coroplast. Coroplast is a fluted, lightweight plastic that is waterproof and durable outside. You can also use a banner to affix to fencing around the perimeter of a construction site. Any way you choose to have your temporary construction signs made, Signarama Troy has just the solution you need! As a friendly warning, use the link below to plan your route around major construction projects throughout Michigan!